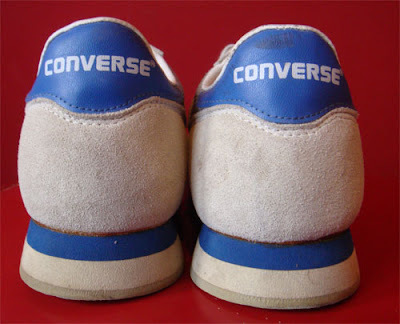 The Converse Blog: 'S Friday Flashback: School's Out for Summer edition! 'S Friday Flashback: School's Out for Summer edition! Praise God, from whom all blessings flow... aka it is the last day of the school year. These means, more than anything, that I have more time to spend on the Blog. I am very excited to try some new stuff out this summer with the blog, so I'm open to suggestions. I've been really pleased with the increase number of comments, and the average number of hits per day is on the rise. I am really exhausted and my mind has been running for this day for a long time, so with that in mind let's jump to today's Friday Flashback. 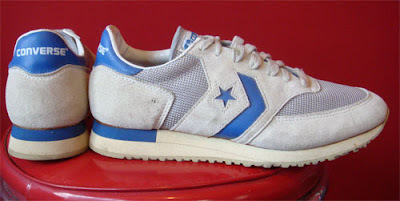 Today we have a pair of Converse Running shoes from back in the day. 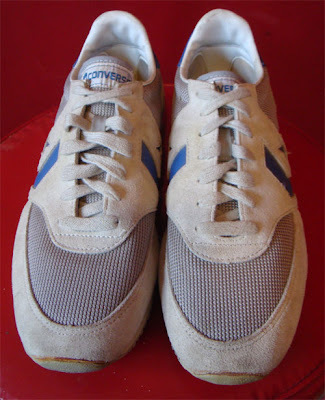 I am not sure of the name of this shoe, or exactly when it came out. I would be willing to say that it came out in the 80's though, just from what I've seen on other 80's Converse running shoes. Well that's it for today, thanks for checking out the blog. Keep the comments coming and for those of that have sent me emails in last week, I am so sorry I've been slack, but I will get back to you soon. 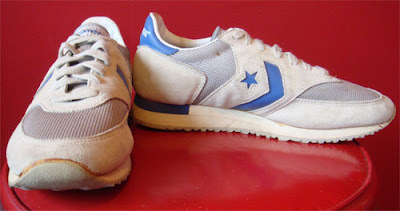 there's some energy wave trainers here in the Philippines, do you think converse put the actual tech in? 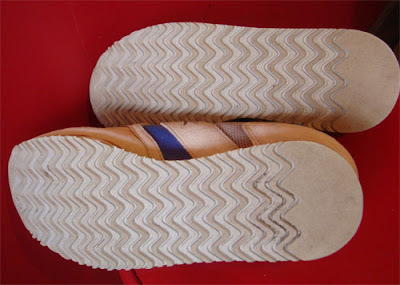 or just retroed it with standard foam?